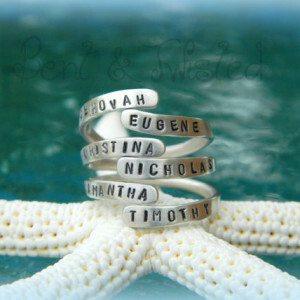 Personalize this for the perfect Mother’s/Grandmother’s ring. 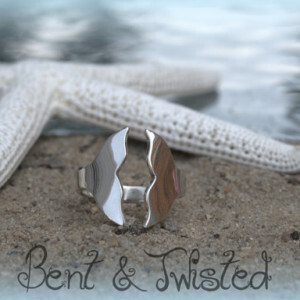 A Russian-style wedding ring – three individual bands that together, form a Mobius bundle. 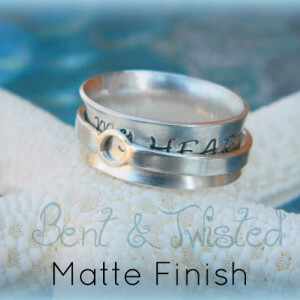 Each band is hand-formed and forged, then stamped with 3 words of your choice. 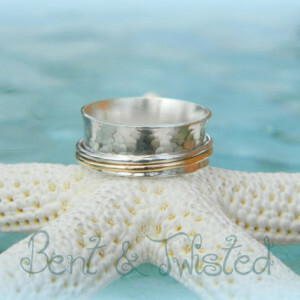 Made of sterling silver, all bands are polished to a beautiful shine. 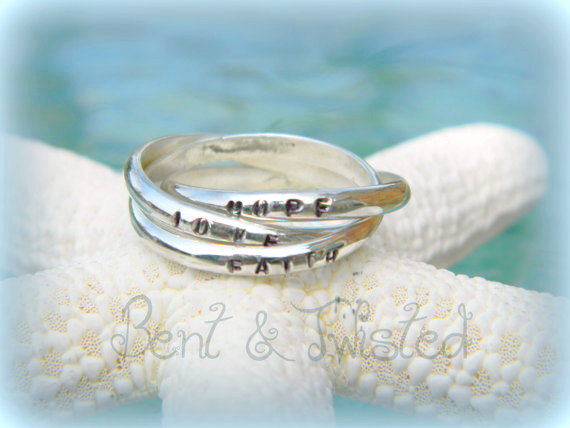 These rings make the perfect Mother’s/Grandmother’s ring, as they can be stamped with your child’s name, birthday or something else to honor your love.